Here’s a closer look,,,,you can see one port on top and one below.,,,,one port is round and the other one is more rectangle shape. 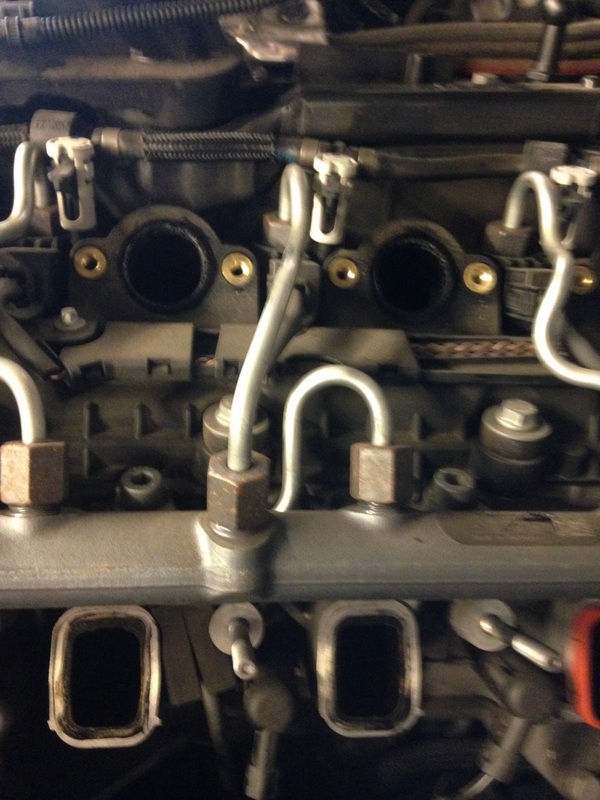 This picture is the underneath of the intake manifold,,,notice that rod going across to each port,,,that rod opens up the intake port for more air when needed. 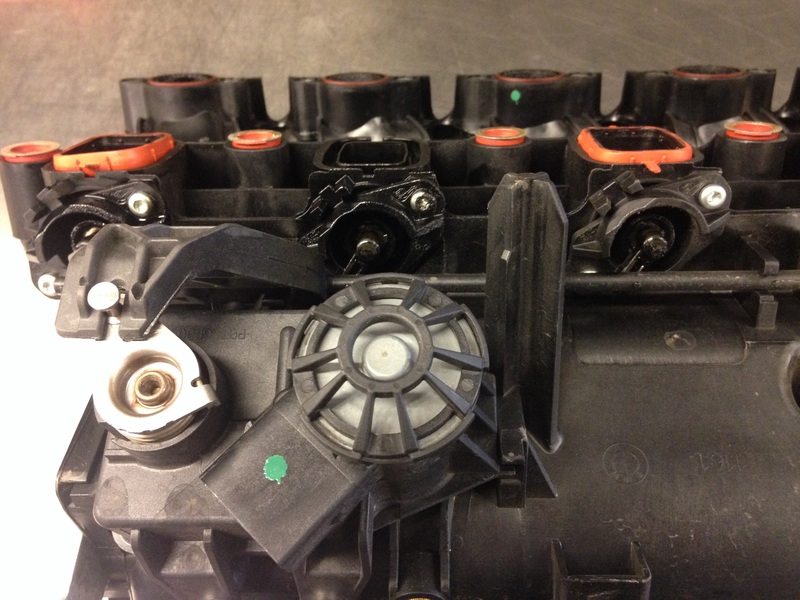 Here is a close up,,,you can see the rod at the intake ports,,,,and they go up to that arm on the left side of the picture,,,,that unit will open or close the intake ports when it gets a signal during turbo boost to open up the intake ports for more air.this is one crazy idea that works,,,,and we have not seen any problems with this set up. This entry was posted in Uncategorized and tagged diesel, intake ports. Bookmark the permalink. 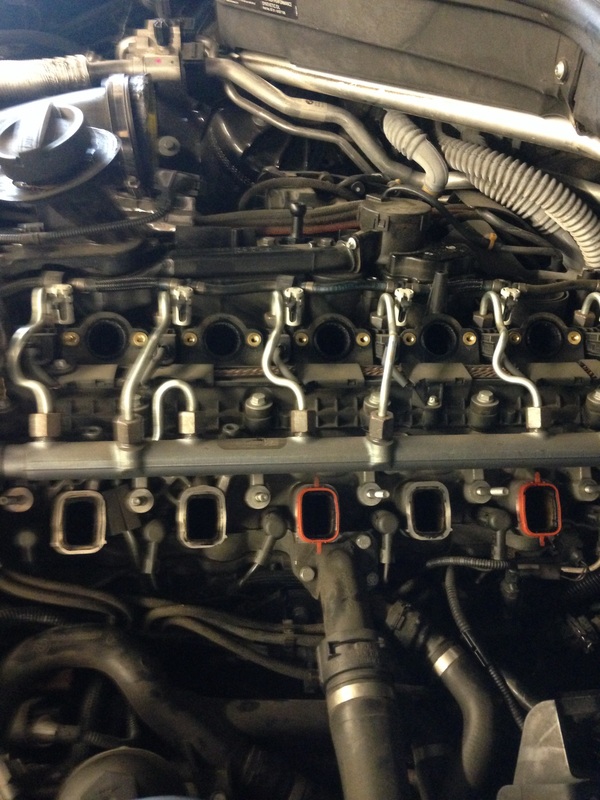 Ports look quite clean.How many miles on the engine?Is it X5 or 35d?Assuming intake manifold is out for glow plug work.Thanks for sharing!! 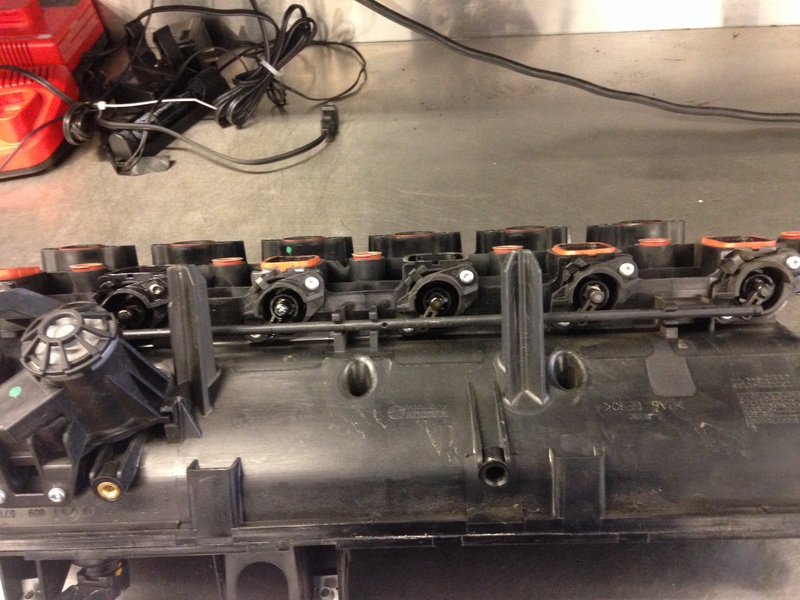 The port didn’t look to bad,,,,the x5 had about 40k miles,,,,the intake manifold was off due to the low pressure egr solenoid was under the intake manifold,,,,also we were checking for any vacuum line leaking.